Too bad for you, mate! You've been shipwrecked on Crusty Island! May as well go exploring... watch out for the Zulus! Who the bleeding heck is Crusty? 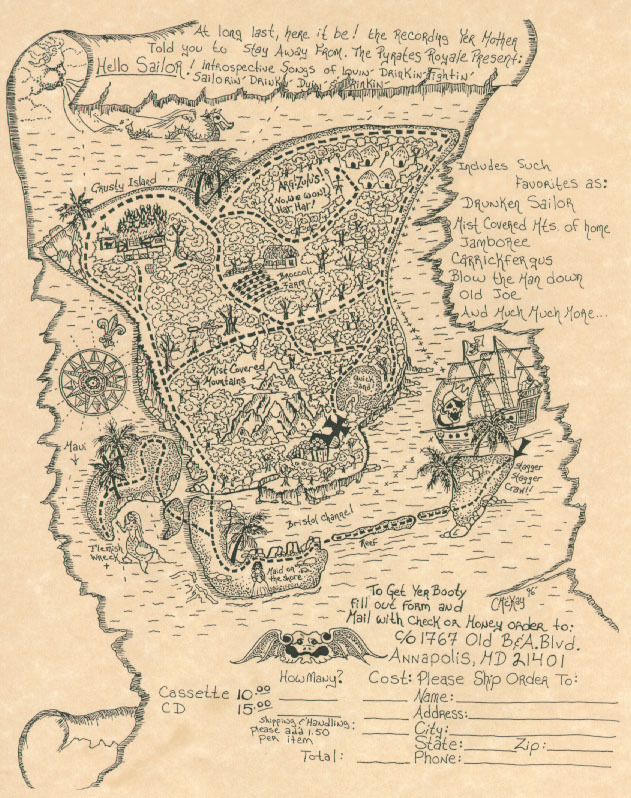 Map of Crusty Island drawn by Chris Howard, so don't use it without permission, you cretin. "Crusty" created by Bruce Porter. No artists were harmed during the making of this web page. As far as you know.